"Around Egg Harbor City and Pleasantville" September Book Giveaway ~ The History Girl! 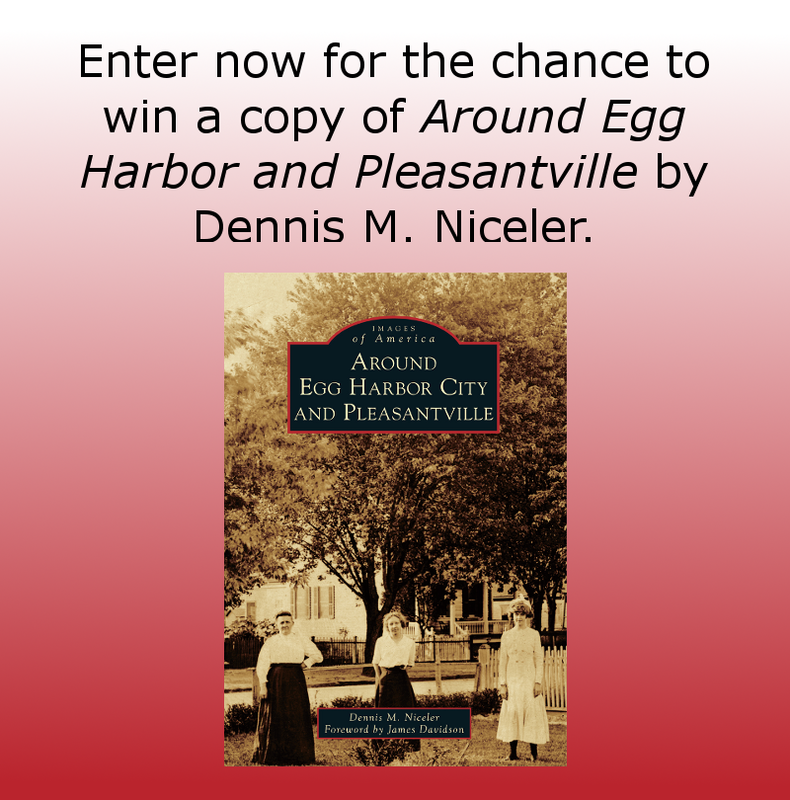 Thanks to author Dennis Niceler, The History Girl is offering one signed copy of his book Around Egg Harbor City and Pleasantville, published by Arcadia Publishing. In order to be in the running, submit your name and e-mail address below! *By entering your e-mail address, you may receive periodic e-mails from The History Girl. Rest assured, your information is never sold or used by a third party or anyone else. Rules *One entry per person. *Valid for all residents of the 50 United States of America, 13 years of age or older. *Entries without a valid e-mail address are not eligible. *Contest begins September 21, 2014 at 6:00 pm EST and ends September 27, 2014 at 8:00 pm EST. *The winner will be chosen at random. *The winner will be notified via e-mail on September 27, 2014 after 8:00 pm. The winner must respond with a mailing address within thirty-six (36) hours or another winner will be chosen.